A R T & D E S I G N b y c a n d a c e b r e k k e : Express yourself on the road! There has been a lot of talk in my circle of mommies about camping as we gear up for summer, which got me thinking of yet another great way to express yourself with Uppercase Living. 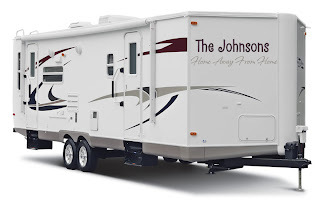 Here are some ideas for your Rv! Put them on the front, on the back or inside your camper! Become a fan of Uppercase Living Candace Brekke for more great ideas.